A promotional item for Microgravity Enterprises, Inc. in Albuquerque, New Mexico. 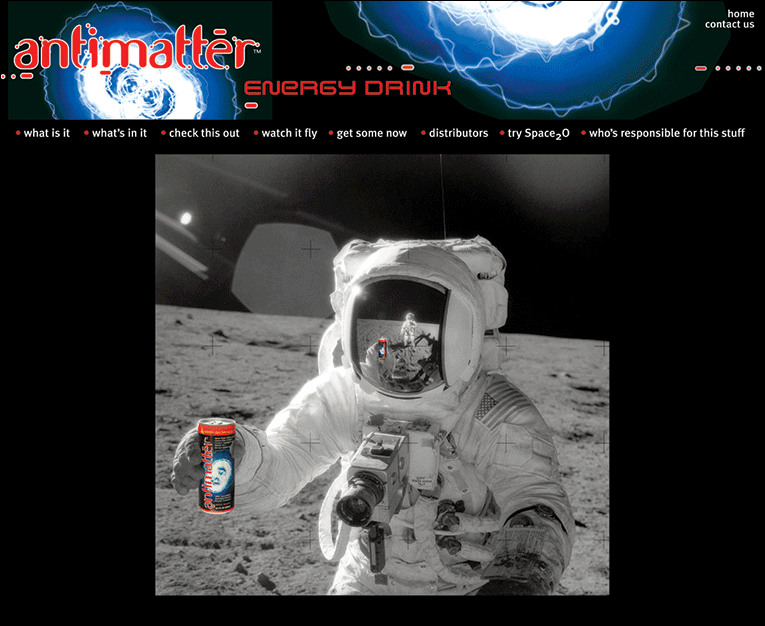 The drink had vitamins & minerals previously flown into zero-gravity space aboard a recoverable, reusable rocket. The main purpose of the promotion was “It’s not all about NASA-only anymore.” The other product launched simultaneously was Space2O Enriched Water. The site featured many Photoshopped NASA-based space photos that we manipulated to include the product floating in zero-gravity space and videos of actual rocket launches.